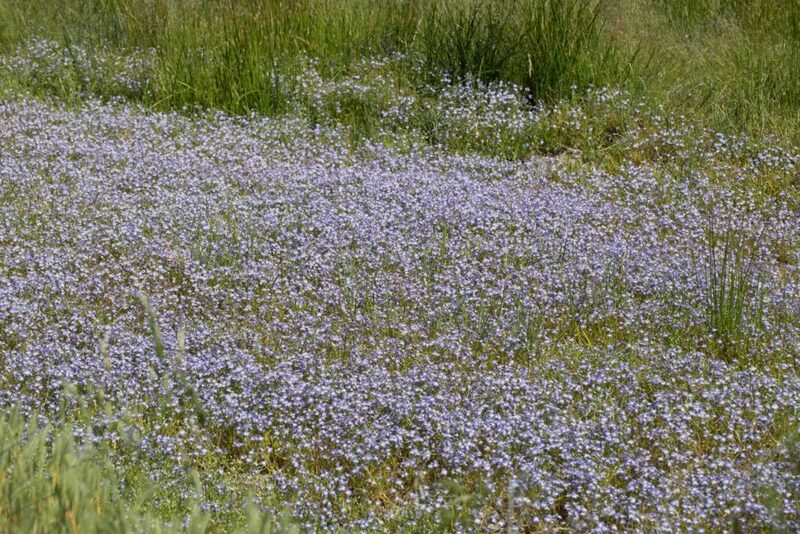 Downingias are a close relative of the cultivated lobelia and, in Monterey County at least, extremely uncommon, found only in the vicinity of the Jolon-Bradley road where they can be seen in large quantities. 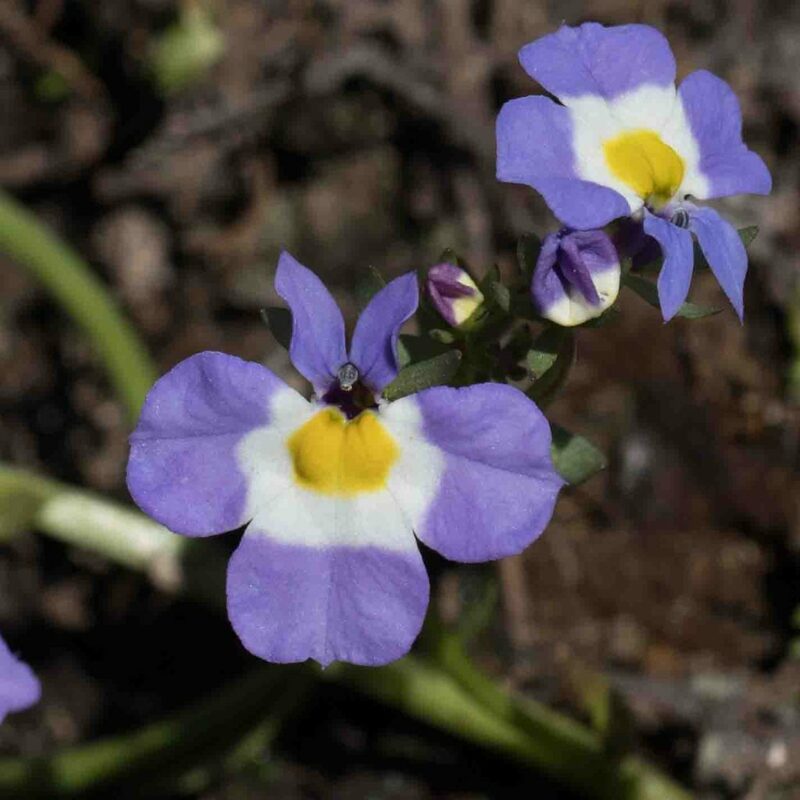 This downingia is very variable, the flowers 7-15 mm across, generally bluish-lavender with a white area in the center which includes 2 ovate yellow spots. 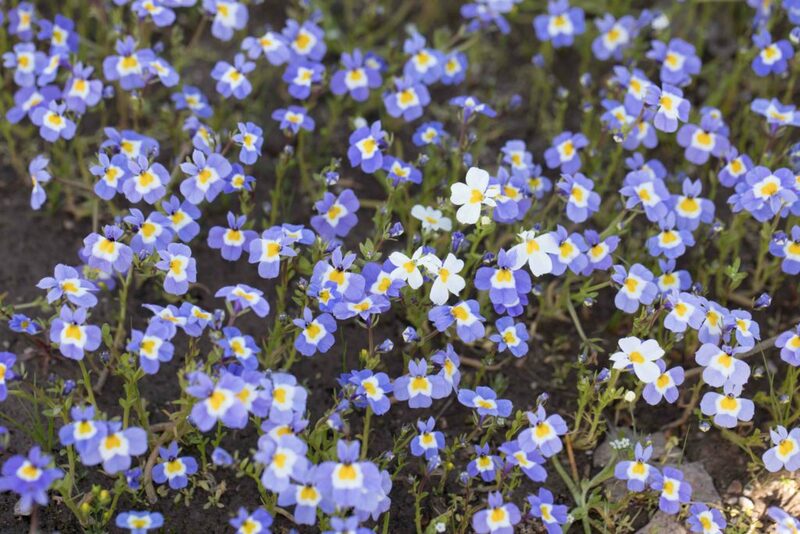 Some flowers are pure white apart from the yellow spots. 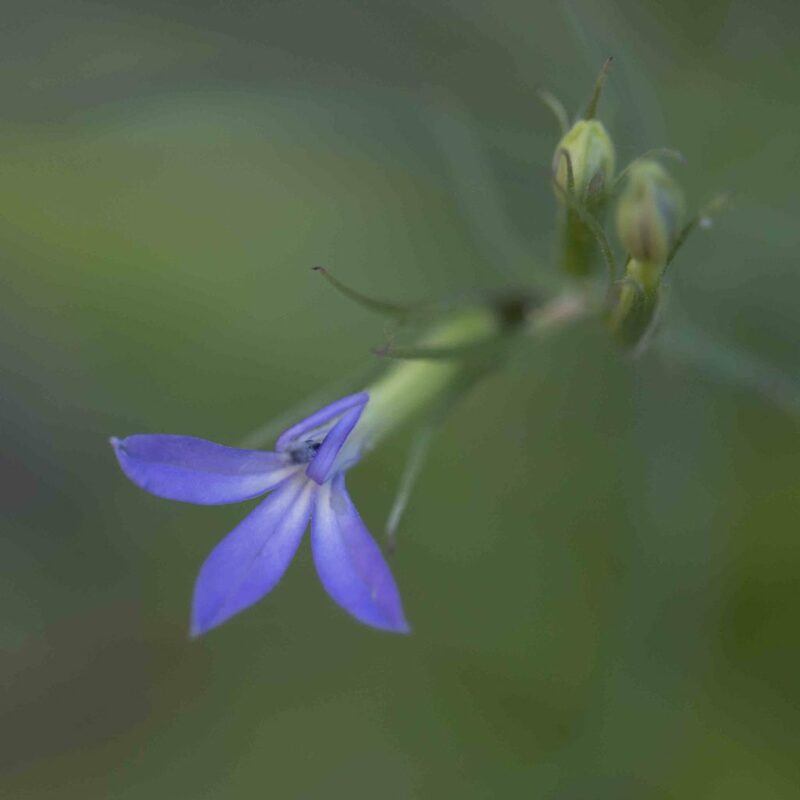 Apart from any other differences, lobelias can be distinguished by the presence of a distinct pedicel, downingia flowers are sessile in the axils of leafy bracts. 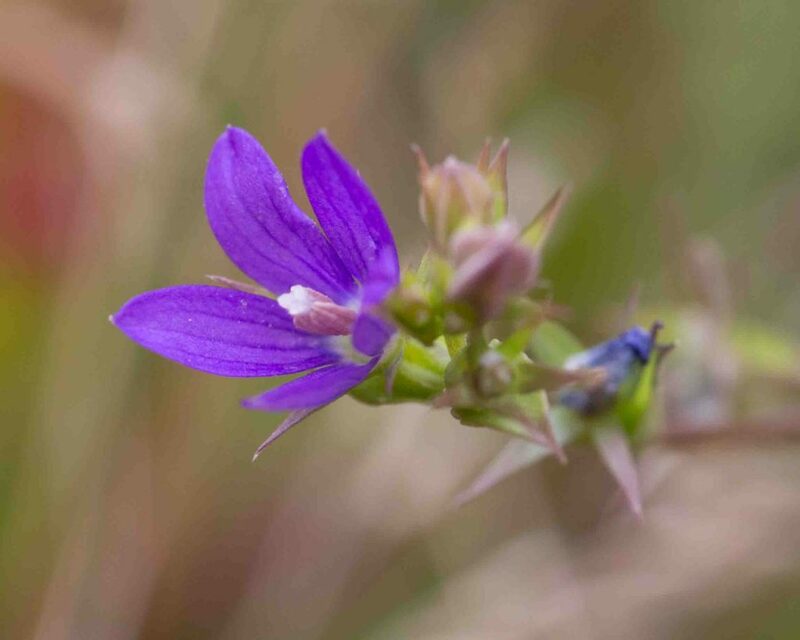 The only wild lobelia to be found in Monterey County (and one of only two in the whole of California). 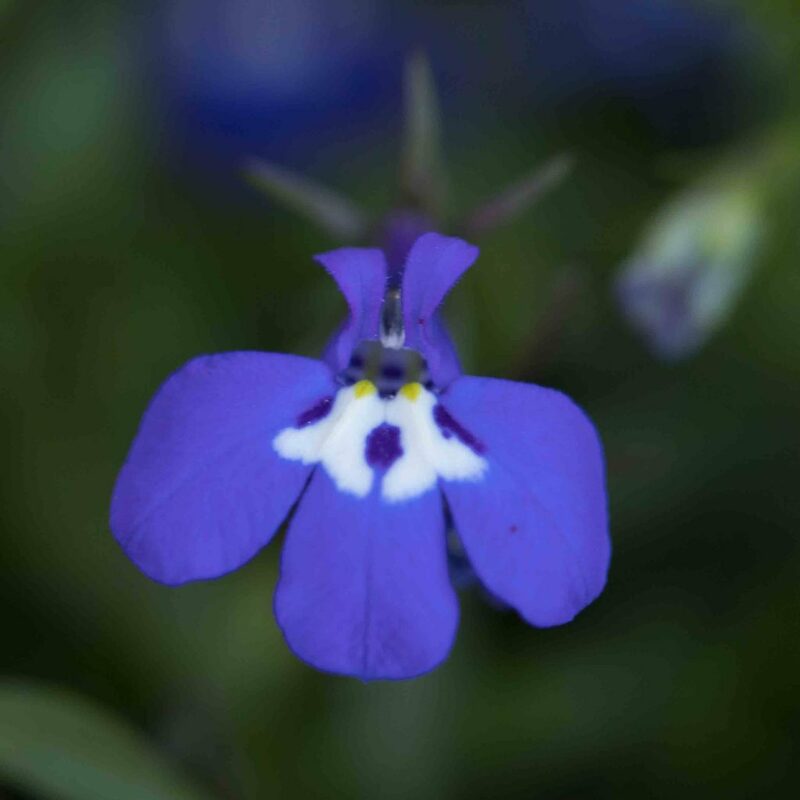 Like Downingia and also like the cultivated lobelia, the blue flowers are bilateral. Each has three acute-tipped ovate lower lobes and two smaller, narrow, almost vertical and sometimes swept-back upper lobes. 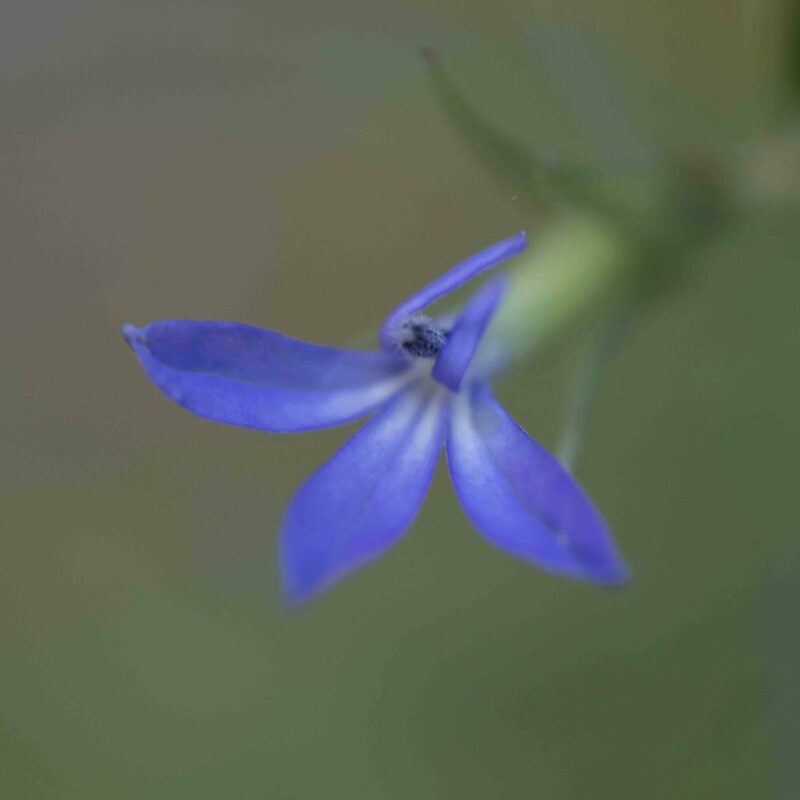 Unlike Downingia, the flowers are clearly pedicelled, with narrow and widely spreading calyx lobes (as in the cultivated lobelia). The plant is leafy with linear-lanceolate leaves with tiny, gland-tipped teeth. 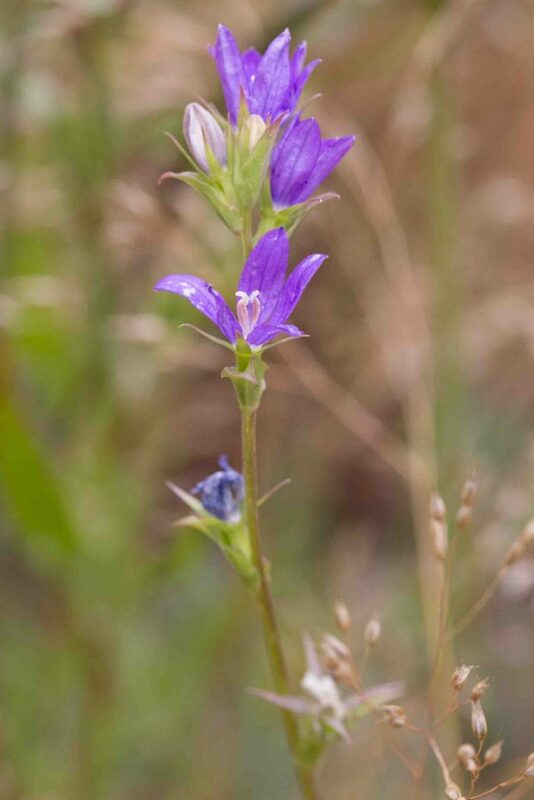 The plant is uncommon, found in various locations in the Santa Lucia Mountains (including Pfeiffer Big Sur State Park) and, interestingly, nowhere else north of Santa Barbara and Ventura Counties. 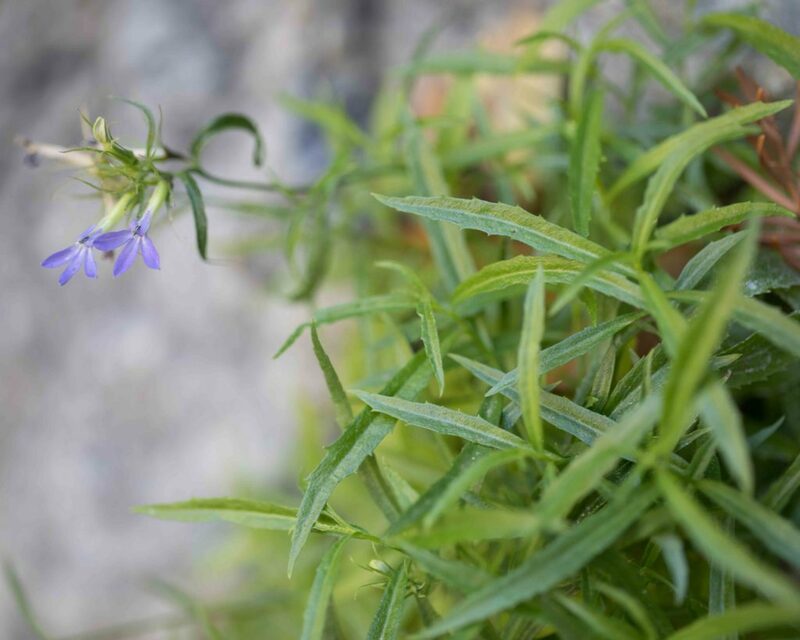 The right hand photo is the cultivated lobelia, included to show the similarities in structure. An unusual plant which, as its scientific name indicates, produces two kinds of flower. 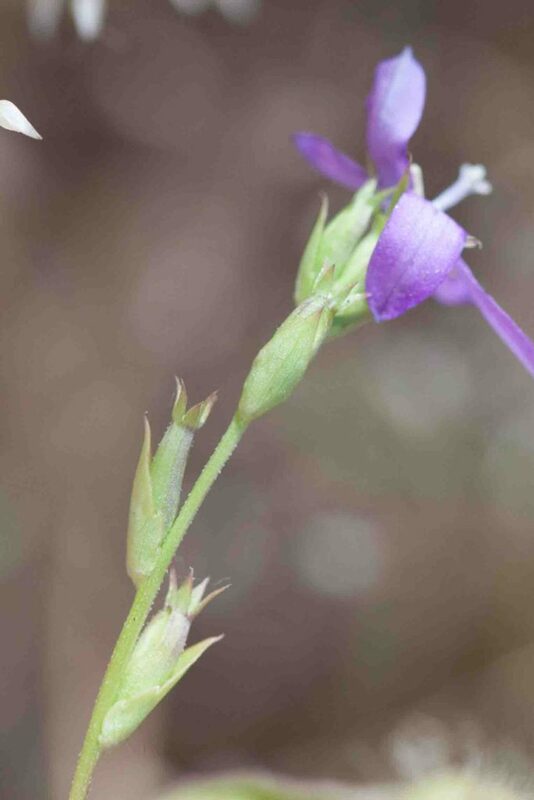 Towards the top of the stem are 5–9 mm, bell-like, pinkish-purple flowers. Lower down the stem, clearly visible in the photo on the right are “cleistogamous” flowers that pollinate themselves without ever opening. The flowers are sessile, subtended by leaf-like bracts.